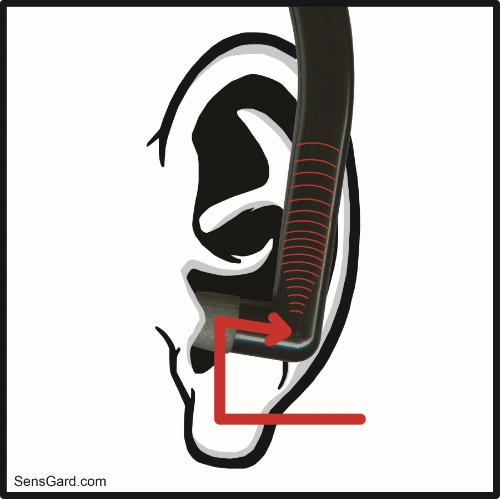 How Do SensGard Ear Chambers Work? Our patented ear chamber technology combines physics with physiological precision. A simple, intelligent solution that balances safe and dangerous sound levels, so you can hear what you need to hear and stay safe from what you don’t. All sounds remain safe natural and undistorted, yet harmful effects of loud noise are directed away from the ear, leaving the sounds you hear at a SAFE level for SAFE hearing. Designed and developed by distinguished Professor of Neuroscience Emeritus and founder of the Institute for Sensory Research at Syracuse University, Dr. Jozef Zwislocki, ZEM™ Intelligent Ear Chamber Technology is innovative engineering for simple yet powerful hearing protection. Backed by decades of experience in the fields of sensory research, audiology ZEM™ Intelligent Ear Chamber Technology is developed with the highest standards of hearing protection and user comfort in mind.